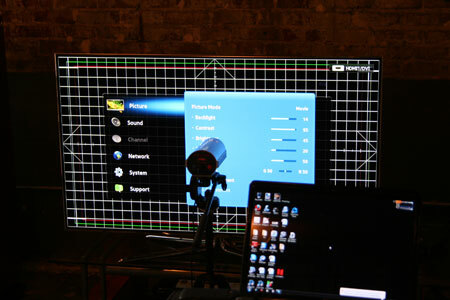 F5500 Calibration Notes: The following picture settings will work well in medium to dimly lit rooms. These lighting siutations are going to be the best use for the F5500 series due to its semi-matte screen finish. There is only a 2 point white balance control in the F55000 series, however the TV's color accuracy is very good.